Frank Boitano was a founding Partner of the firm in 1991 and has been admitted to practice since 1988. Frank was the youngest solicitor in NSW to be Accredited by the NSW Law Society in 1993 as a Specialist in Personal Injury Law. Over the years Frank has represented large insurers and self insurers, Companies, Builders, Developers and persons seeking advice and assistance in legal matters and going to court. Frank became a lawyer to represent people ensuring that everyone he acts for has the opportunity to have their say and their side heard because he listens to what you have to say. Frank heads the Litigation Department at Barwick Boitano Lawyers. He has acted on behalf of Insurance Companies and Self Insurers so he understands both sides of the equation. 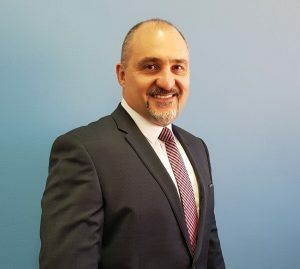 Frank handles all types of court matters and litigation in the Supreme, District, and Local Courts of New South Wales. If you need to be represented in Court or in a Tribunal he can help you. Frank takes instructions in all forms of Insurance law, Contested Wills, Family breakups including Divorce and Property Division. If you are owed money Frank can advise you the best ways to get it back. If you need to be represented after being charged by the police for a crime or regarding driving matters Frank can appear for you.